Yes, that's me. I didn't start this blog with any intention of self-promotion. There have, however, been a few requests for more information about myself. And since I do have two art exhibits in Chicago this month (whose subject matter is pertinent to the subject of the blog), I thought I would let everyone know. 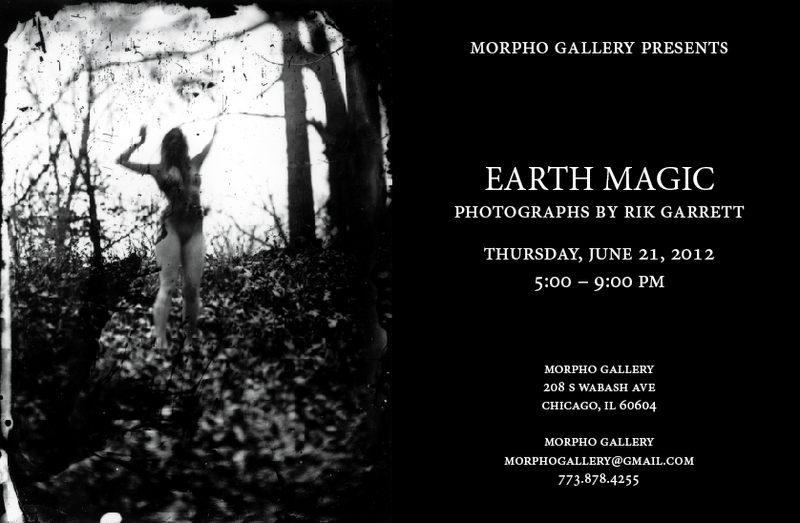 One of the exhibitions is a solo gallery show of my series Earth Magic. This is a set of photographs taken with the wet plate collodion process. 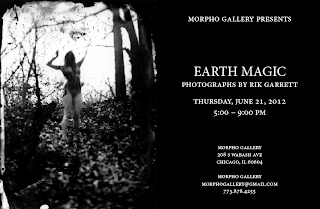 These black and white photographs will be on display for one night only, June 21 2012 from 5-9:00 pm at Morpho Gallery's Loop location. Chris Elmore of music blog Hammer Smashed Sound kindly designed these postcards for me. With Earth Magic I've envisioned a matristic, nature based world; a female-centric, ritualistic community completely apart from the rest of society. This is a history of "witchcraft" devoid of "witch hunts," a race of women who draw their energy and inspiration from the Earth itself. What if there were a truth to the myths of Amazons and the books like Aradia, Gospel of the Witches? What if the fierce Maenads of Greek mythology still existed today, hidden from view? What if these truths were presented faithfully? The second exhibition is a group show at the new Leroy Neiman Center. 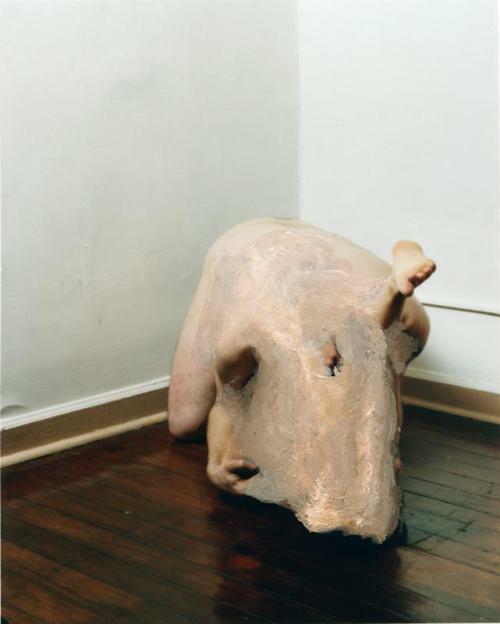 "Act II: Fiction Brings it Closer" will include several images from my Symbiosis series. While this exhibition opens on June 19th, there will not be a reception until the closing event on July 7th. 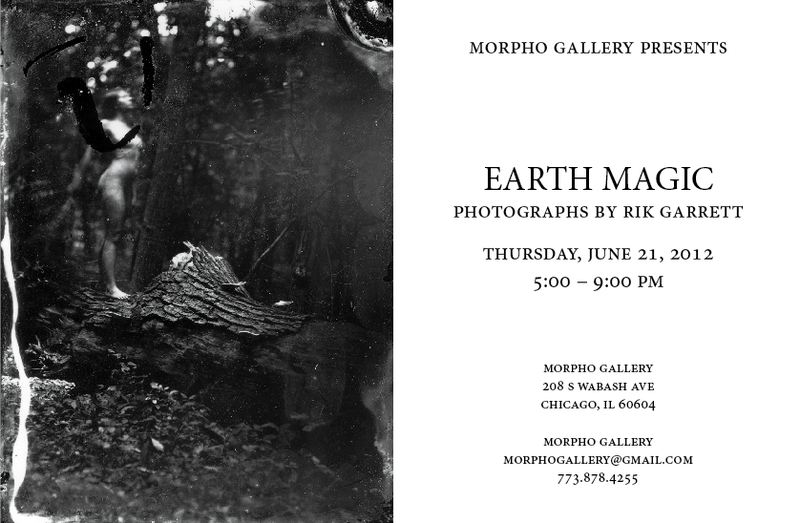 If one was so inclined, they could take a look at these images on their way to the opening reception of Earth Magic - both galleries are around two blocks away from each other. So if you are interested, please consider attending these events. Feel free to come by and introduce yourself.